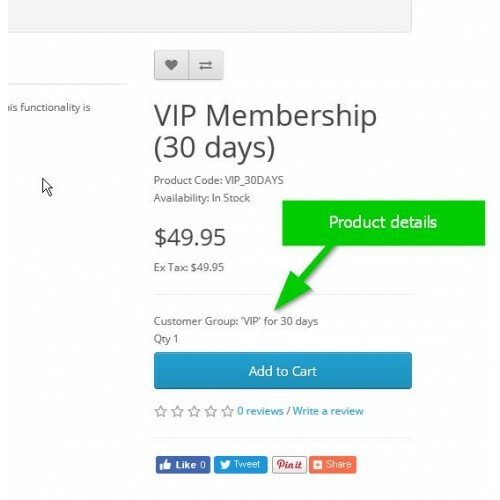 The extension allows administrator to sell customer groups as regular products. 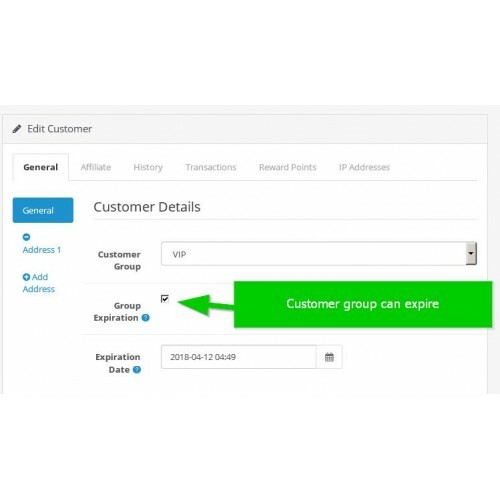 Users with a special customer group can have privileges in the store like having discounted prices or dedicated tax rates. 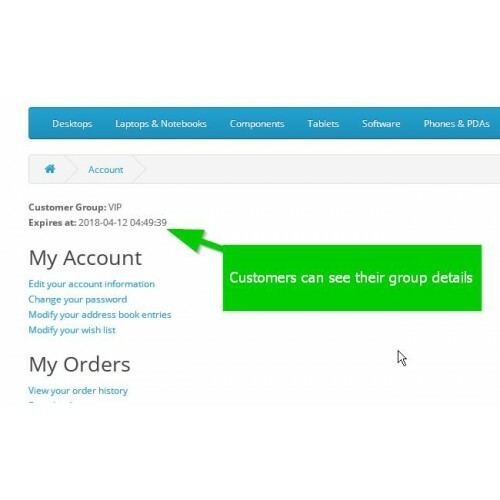 Expiration time can be assigned to any group on the customer profile page. After reaching the expiration time the group is set to a default group. The extension supports recurring products. - notification about expiration time approaching. Here is a video showing how the extension works on Opencart 2. 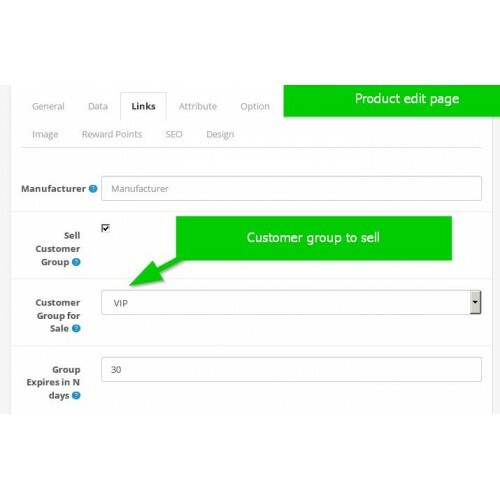 The functionality for Opencart 3 is pretty the same.